Preface Southwark Catering Recruitment agency currently have open vacancies for Food And Beverage Assistants, working within food shops and hotels in various Central London locations. 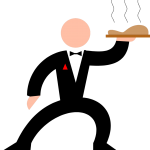 These jobs come with Temporary catering contracts, for the right Candidates, they may lead to full time and regular shifts. Pay rate: £7 – £8.80 per hour. competitive wages are offered and a variety of work hours as well as the benefits of working with some of the most prestigious and vibrant catering & hospitality teams within The Capital / City of London / Westminster City, Mayfair, Strand..
To apply for the jobs please contact Preface Southwark Recruitment office at 204 Langdale House, 11 Marshalsea Road, SE1 1EN. the Office is located 5 minutes walk from the Borough Station/Northern Line. you can call the office on 02035671157 or Email your CV to cv@prefacerecruitment.co.uk or apply using the Agency’s online Registration Form.